I'm a little queasy when it comes to horror. I generally avoid it. And my assumption that because this book is aimed at a young adult audience that it would be watered-down, less horrific was entirely false. 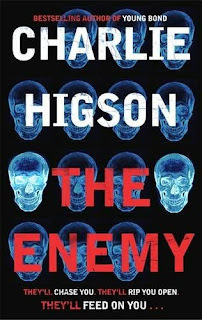 Higson does not hold back on the scary. It's fast-paced and very thrilling. But it's also very gory. Kids die. They get eaten, dragged away or attacked by dogs. Bad things happen and nobody is safe. It's the first in an exciting new series, and I cannot wait for the rest. It sounds so gory! I can't believe it is for kids. You know I will want to read it though. glad to hear a good review for this one. i have it in my tbr pile.